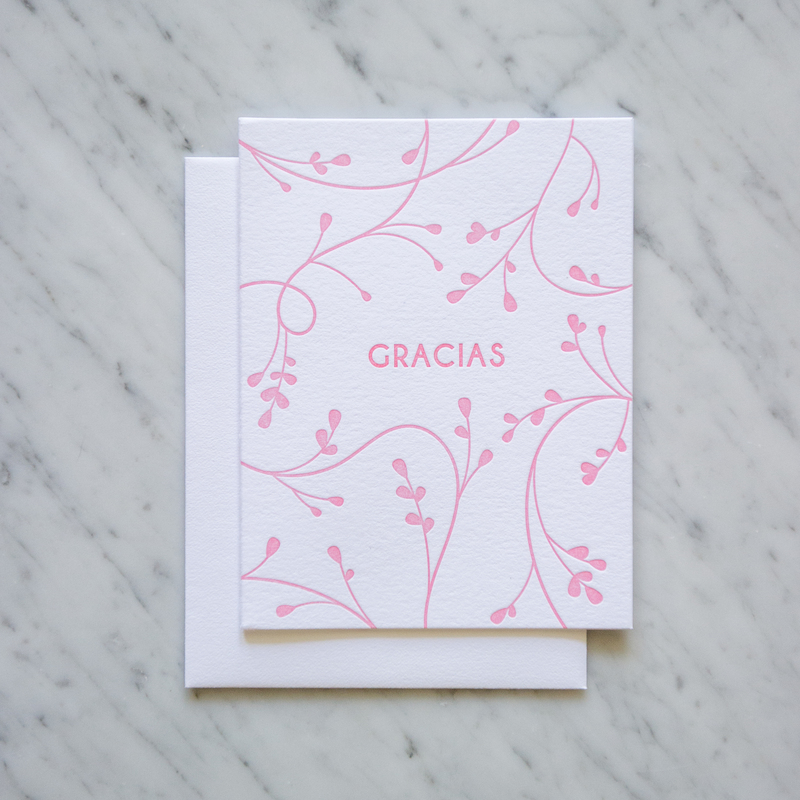 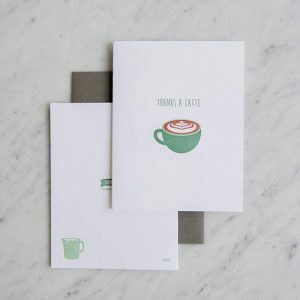 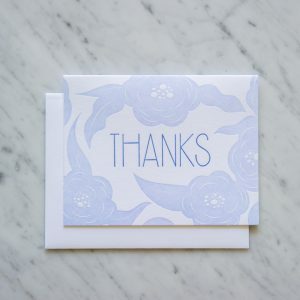 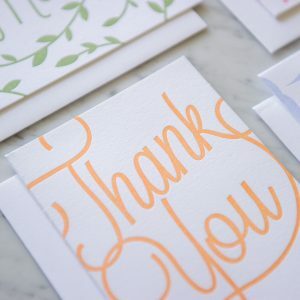 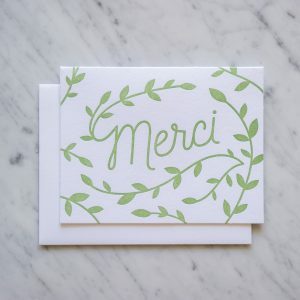 This is a two color letterpress card with a simple wording that says the word, ‘Gracias’. 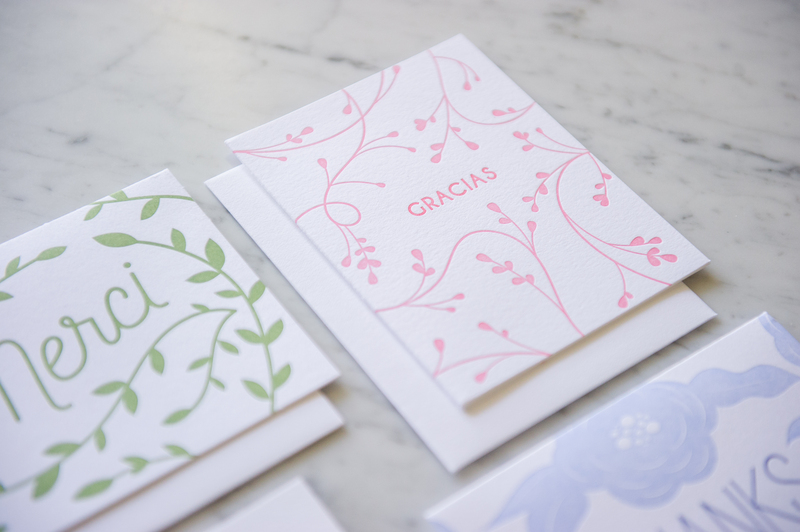 Beautiful floral design that follows and flows from the back to the front. They come with an A2 blank white envelope.